The purpose is to help us adopt a positive outlook in life, to make the best out of every situation, To love and believe in ourselves while also developing our abilities as Human beings. "Everything is possible if you Believe!" This is very true, sometimes people in our lives go out of their way to please or satisfy us and yet we often fail to realize that. People care or love differently, their way of expressing how they feel about you may not be the one you prefer but just appreciate the fact that they are actually doing something to contribute to the positive growth of your life. 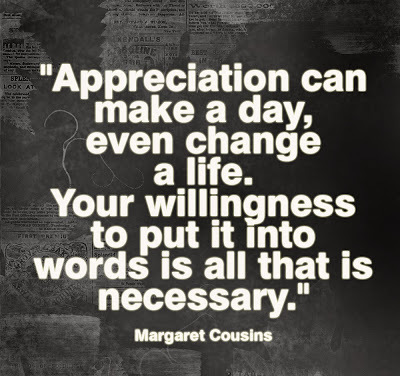 Some people find it hard to appreciate, saying something as simple as 'thank you' to them is an issue. Mostly things such as social status and pride contribute to this. if you know that you are like that then I would like to remind you that when you appreciate someone you do not personally loose anything and that does not mean that the person will stop respecting you. You are just showing that particular person that their efforts are recognised and you are thankful for them, this brings joy and happiness to one’s life. 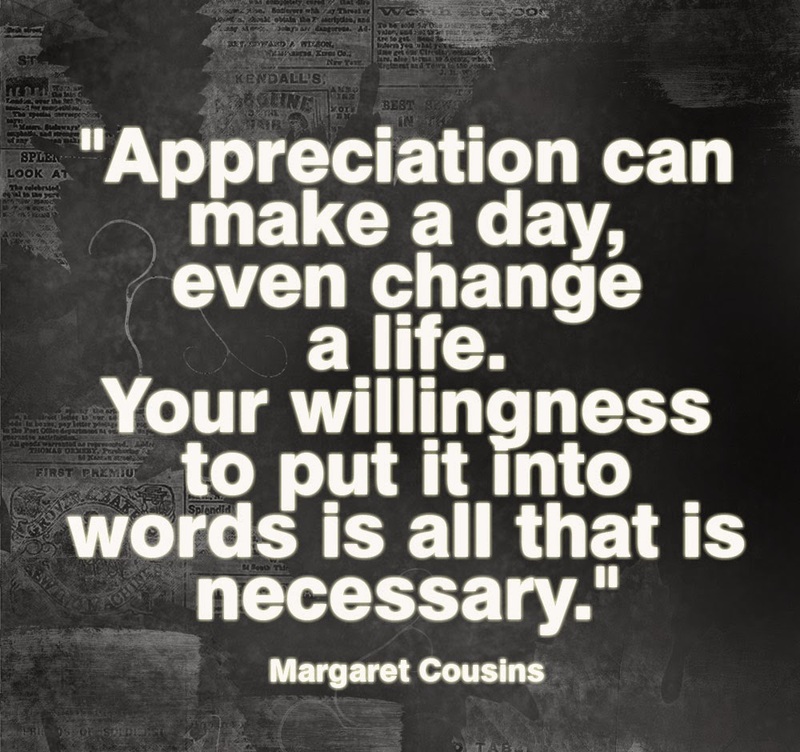 Let’s all start appreciating people, no matter how small the effort is just stop and say “Thank you”. You are not alone, someone cares! Where there is life Hope still exists!! !